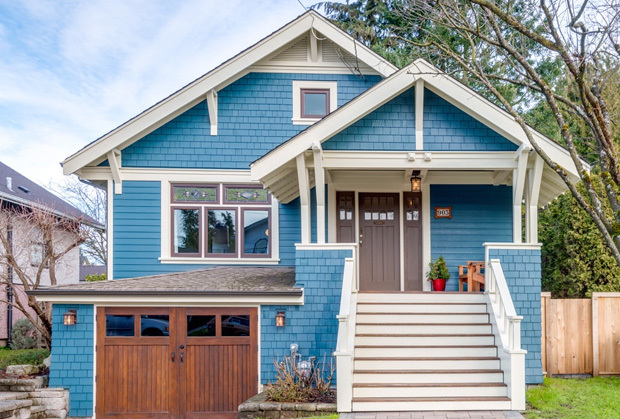 You may not be able to judge a book by it’s cover, but a big part of selling or buying a home is the first impression it makes when you first see it from the street. That’s curb appeal. If a home makes a good first impression, potential buyers will be enticed to check out the inside, see how it fits their needs and lifestyle. A home with an attractive exterior could also be worth more. But these days, curb appeal means a lot more than how a home looks to passersby on the sidewalk or in their car. It starts online. For most home buyers, the first curb is their computer monitor or mobile device. They’re likely to check a listing online before they take the time to see it in person. That means it has to look good in photographs. While a skilled photographer can avoid a property’s faults by their choice of angle, composition and lighting, if the reality doesn’t live up to buyers’ expectations from the photos, they may just drive on by. So the work you do to make your home look good in photos will also give it good curb appeal. Curb appeal isn’t just how your home looks to passersby, but also how it looks in photos that are posted online. Creating great curb appeal starts with a good cleaning. That includes decluttering the yard of neglected toys, furniture and decorative implements that may have seen better days. Clean all the windows and consider renting a power washer to scrub grime from your home’s exterior. If needed, touch up trim like shutters, doors and railings with a coat of new paint. A little pop of colour can go a long way to making a home look fresh. Once the yard is clean, make it neat by cutting and weeding the lawn, trimming trees and hedges and taming gardens. Plant fresh flowers. Look up. A home’s great curb appeal can be ruined by a dilapidated roof. That’s a red flag to prospective buyers that expensive repairs or replacement could be in their future. So clean off fallen foliage and stray frisbees. Repair loose or missing shingles and eaves. If your roof is nearing the end of its lifespan, consider getting an assessment by a roofing professional, then attending to their recommendations. Turn the lights on. Replace exterior bulbs that have burned out. Repair or replace broken fixtures, maybe even add some new ones to brighten your home’s curb appeal at dusk or night. While potential buyers may never see your home at night, attention to small details sends a message that a home has been well cared-for. Replace outdated hardware on doors and windows. Replace your old mailbox, or give it a fresh coat of paint. Paint the front door. A pop of colour on your front door can completely transform your home’s curb appeal, make it more eye-catching. Repave, or at least reseal, the driveway. Creating curb appeal extends to every outdoor space at a home. Of course, if you live in a strata condo or townhouse, much of your home’s curb appeal is out of your control. 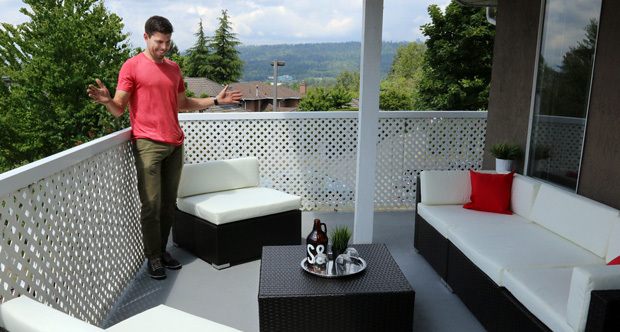 But paying close attention to detail at the outdoor areas you do control, like your patio or balcony can have a significant impact on your home’s appeal to potential buyers. 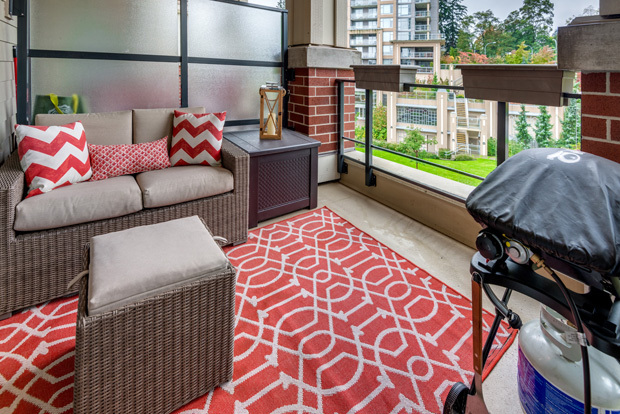 Even if you live in a condo, you can create great curb appeal by making your balcony look great. According to the Meriam-Webster Dictionary, Realtors have been pitching a home’s exterior appearance as its curb appeal since about 1975. Investing in your home’s first impression doesn’t have to be expensive; it might just involve time and toil. But it will pay off.